could you let us to disable PDF open on MX and that we can download it by MX downloder or IDM? sometime, the MX open the PDF but is very simple function. also when we want to save the PDF file into PC, the file date cannot keep file original date. this file date is long long long time issue on MX downloder and nobody to fix it or have user have option to keep file original date. it's not good for us. You can try to tick this option, then you can choose others local applications to open it. I would desire for all of my pdf's to open in Foxit, my default pdf reader. But they open first in Maxthon lately as it appears that is now a default function for Maxthon. However, I go to the top right of the Maxthon pdf window and click on download arrow. This usually triggers a download window in which I click on "open" (but I could also save it to my PC if I wanted to), which triggers another Maxthon pdf window to open. But clicking the download arrow again (in the top right of the Maxthon window), I successfully get the pdf to open in a new Foxit window. (I have a multiple monitor setup and Foxit opens on a separate monitor for me, so the browser is still open and visible) Definitely extra steps, but once I got used to it, it's just a minor annoyance to me. What I would desire is that the first attempt to open a pdf would go straight to one's default pc pdf reader and not open in Maxthon at all. I seem to remember that in earlier Maxthon versions (like in MX2 or MX3), Foxit (or Adobe Reader)would open right in the browser in it's own tab. 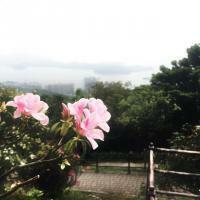 That to me would be the ideal, which from there one could save it or copy it. 1 This option is for 'download manager'. 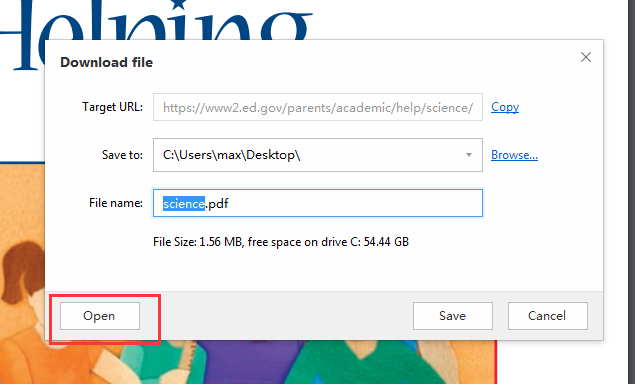 If you tick this option, it will arouse the local application to open the download file(for example, pdf) when you finish downloading. It will open with local application not maxthon. 2.This one is for local file which not related with download manager. If you untick PDF, it will open by local file not maxthon. I tested follow rob's step, unchecking the pdf option in settings. My local file will open with 'PDF SOFTEWARE', if I tick this option(pdf), it will open by maxthon. It's normal here. IN my MX 5.2.0.1500 is not workable. You mean the downloaded pdf file or local pdf file, please send me the file that I can have a test here. If it have problem in download manager, please send me the link where can download pdf file. Have you tried "tick" that option in Menu-Settings-General-Download settings-open the file using default program. If it still open with MX, please send me that link to download pdf here I can have a test. Please check this video, if you change the settings, the result will also change. Maybe the settings need to be wait for effective for few seconds. Please retry. If possible, please back to MX2 or MX3's PDF funtion. or we can download it by our choose. And you step is not easy for end user or for us to understanding to switch off MX pdf function. anyway, thanks your help. and think about normal user's feeling. it's not always based on your engineering mind. it's not everyone is computer expert. If you have it installed, and it goes to configuration, you will see how it manages the downloads. 3 - "preview" it, (which is what Maxthon always does without giving another option). Technically it's always going to be local. Whether the file is downloaded with the users knowledge (via the downloader/pdf preview), or in the background using the default PDF program won't make a difference. But what people are annoyed at is that MX doesn't auto load a PDF in the default program if MX isn't the default handler. MX always opens PDF's in it's own viewer unless you explicitly select the option to download/save target as. While it's only a few extra clicks, it can be annoying especially if you do this a lot. Also any tabs opened because of it need to be closed as well. I do not know if I have understood correctly. I tried to get your point and..
1.You mean the "save file dialog opens" firefox is more simple than Maxthon. Maxthon need Right click > Save target as OR Click on a link to a PDF file > click the download button in the MX PDF viewer. 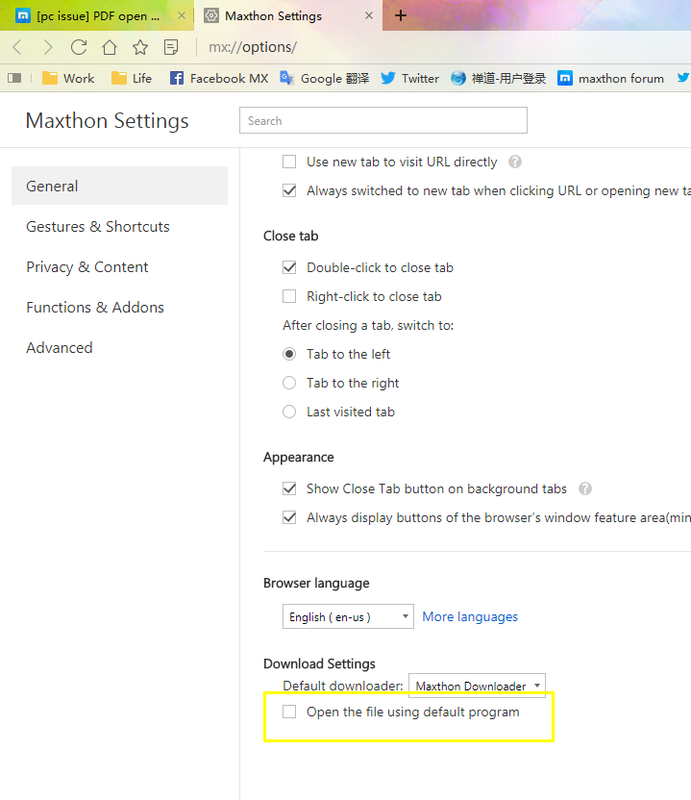 I have firefox browser, the "save file dialog opens" is same with Maxthon. But what people are annoyed at is that MX doesn't auto load a PDF in the default program if MX isn't the default handler. MX doesn't auto load a PDF in the default program- not very understand. Users can go settings to choose the option whether open with MX viewer or default program. or in the background using the default PDF program won't make a difference. MX always opens PDF's in it's own viewer unless you explicitly select the option to download/save target as. Firefox does not open a PDF automaticly when a PDF link is clicked (as I do frequently at work). It opens a dialog that has two radio button options, Open In: and Save File. The Open In option has a dropdowm menu showing all the programs installed on the system yhat can display a PDF file. Typically this is set to Adobe Acrobat, but it stays where it eas last set. There is also a checkbox that, when checked makes it do the same thing every time. If that is checked this dialog is bypassed and either the file opens in Acrobat or the Save File dialog appears. I don't check it because I might want to do te other action from time to time AND I don't know how to uncheck it once checked since that dialog no longer would appear. 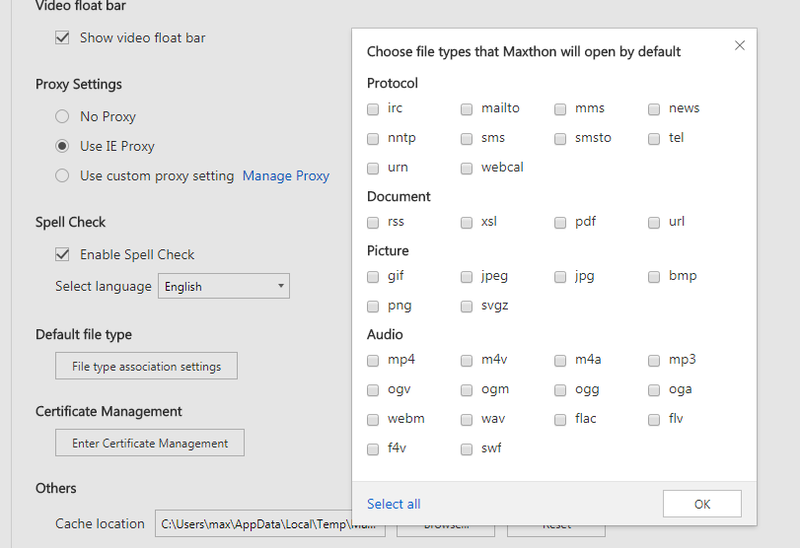 I'm perfectly content to have that dialog appear every time I click a PDF link and I think it would be a better addition for Maxthon, provided the Open In option included a program selector that listed Maxthon and other available programs even for the portable version. PS: I see now )after scrolling farther up thread) that my description is a morror of 7twenty's description. do not know if I have understood correctly. I tried to get your point and..
You take for granted that you should preview "before" the pdf file in the browser. What we are talking about is that the browser should have an option to not load in the browser, if not directly open with the chosen pdf client or if it does not appear a dialog box that allows you to save it, !! BUT WITHOUT PREVISUALIZATION !!! in maxthon. I refer you to try the 3 configurations of firefox that I have put you and see the difference. I well understand your words. 'Open In option included a program selector that listed’ - a place could be optimized. I will carefully record all of your feedback. Could you please try this link pdf file? It works fine with the settings.